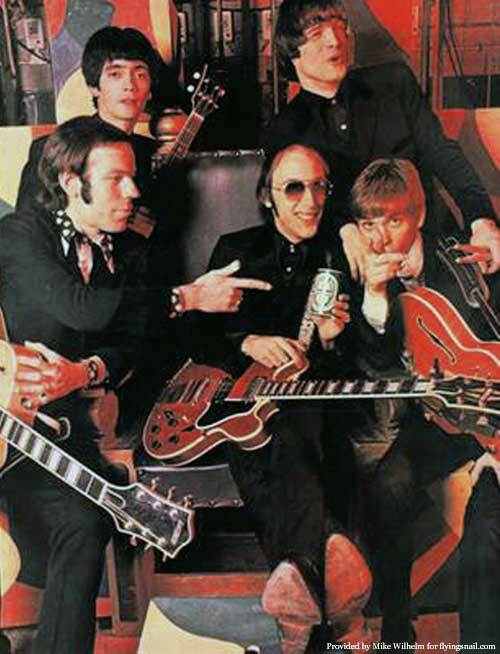 The Flamin' Groovies, "Bust Out At Full Speed: The Sire Years"
Mike Wilhelm, who was the Flamin' Groovies' lead guitarist for six years, likes to introduce Robert Johnson's "Love In Vain," with this: "Here's a song Robert Johnson stole from Mick Jagger back in 1936." 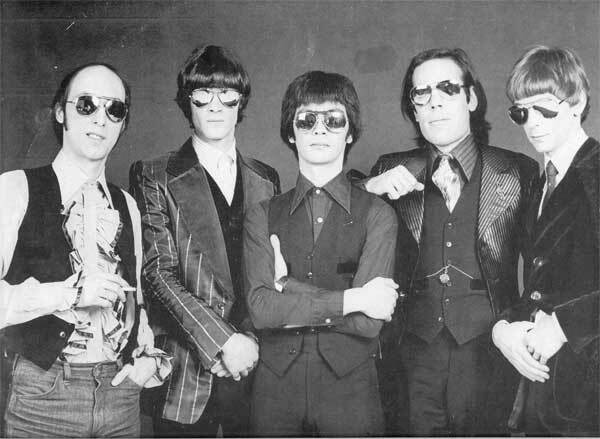 The Groovies are a band everyone's been stealing from since Roy Loney was still in the group. 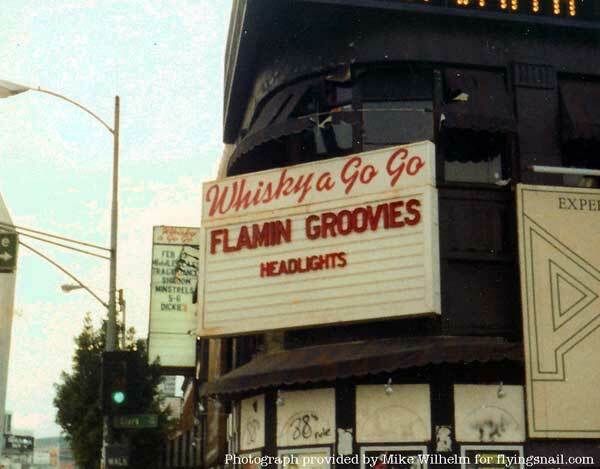 In 2000, when the San Francisco Chronicle's "critics" made a Pink Sheet list of the 100 Best Bands in SF History, the Groovies were number four, right after the Grateful Dead, and somewhat before Santana, Neil Young, and all those offshoots of Jefferson Airplane and the Dead. There are still famous git pickers who won't appear on stage with Wilhelm. You can hear the reasons herein. 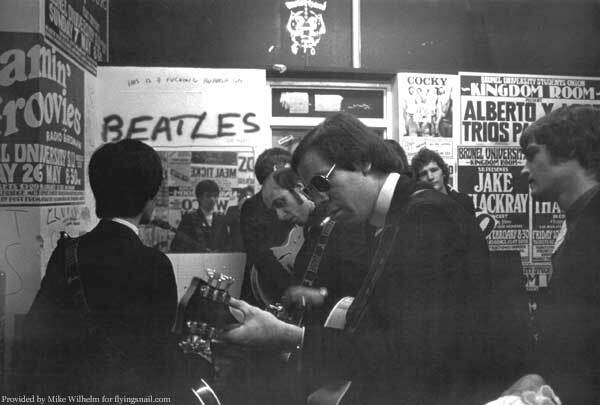 Of course the group does have Cyril Jordan, he of the perfect George Harrison imitation, leader and founder; Chris Wilson, George Alexander and David Wright, with an occasional appearance by Danny Mihm, original Groovies' drummer and some Welsh blues by Dave Edmunds to boot. As if that wasn't enough, they shake some action, let the boy rock and roll, please please you, paint it black and don't put you on. And that's just for starters. Wilhelm, about Bob Dylan's age these days and hanging with the Lake County Blues Band "up north" still does a mean Chuck Berry duck walk when the spirit moves him. Cyril has a new band, Magic Christian, with Praire Prince, Paul Kopf, and Alec Palao. Please spend a few moments on Palao's liner notes for this set. He also did those on The Amazing Charlatans and The Zombies' box set among others. Disc One, Shake Some Action is considered the ultimate Groovies release by many but still has James Ferrel on guitar. There's nothing wrong with Ferrel but both "Now" and "Jumpin'In The Night" have Wilhelm (or "Willie," as Jordan calls him) the man whom Cherry Garcia told photographer Herb Green way back in the sixties was his favorite guitarist. Pigpen was Mike's favorite. They used to play slide guitar together at the old Dead House up Ashbury just past that famous sign and Ben And Jerry's where the waitress had only 27 piercings the last time I talked to her. Disc Two, Now, just feels a whole lot better taking you down to that house of blue lights. There's a place, yeah, my baby. I hate to dwell on one guy but when you've seen the guitarist Larry "Mojo" Platz, the man with the single greatest name in the blues, called "a 12 on a scale of one to ten...I'm a two," it's hard not to do so. Forgive me my trespasses and join the Groovies, all of them, for a jump in the night. It's absolutely, sweet, Marie. Disc Three, Jumpin' In The Night is sort of the last official Groovies CD yet there are numerous boots out there including some of their legendary Phil Spector sessions. I've heard some of that at Wilhelm's home studio. The Byrds get a couple of readings here too - "5D" and "It Won't Be Wrong." 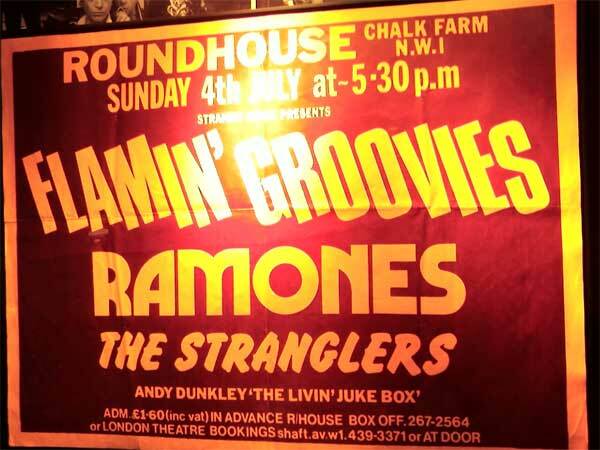 "We agree with the Stranglers." My favorite Wilhelm stories still come from Lake County though. 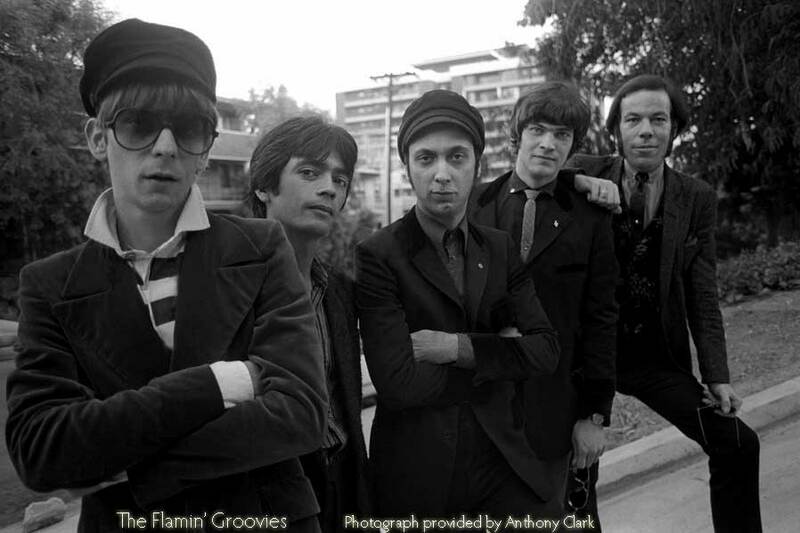 One time, coming off a two-week isolation due to illness, Mike came to my house and literally spent eight hours reminiscing about the Flamin' Groovies legendary tours of Europe. 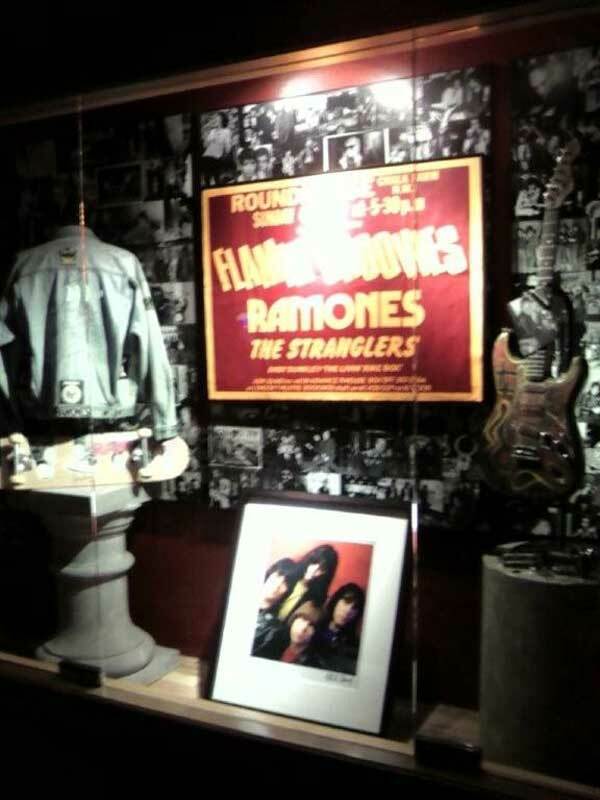 In Manchester, England, he recalled, the Groovies played one night after the legendarily volatile English-French punk rock band, The Stranglers. Manchester is famous for its tough criticism so the Stranglers actually went out, sought out the particularly vicious critic, and beat him up. 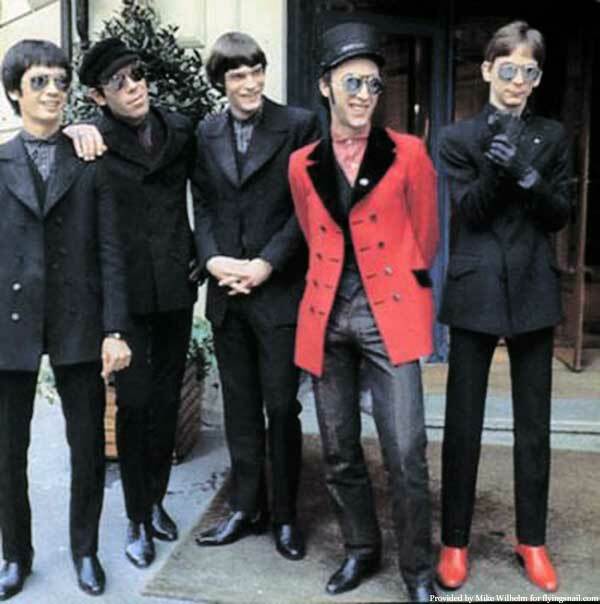 When the Groovies hit the stage the next night in the Beatlesque costumes they then favored, the audience was, shall we day, a tad unfriendly. So the band left, then Wilhelm came out again, alone, "dapper and dangerous as usual," as Case put it, and simply said in his Johnny Cash deep bass voice: "We agree with The Stranglers; there are older laws." The Manchester audience remained most respectful for the rest of the evening. 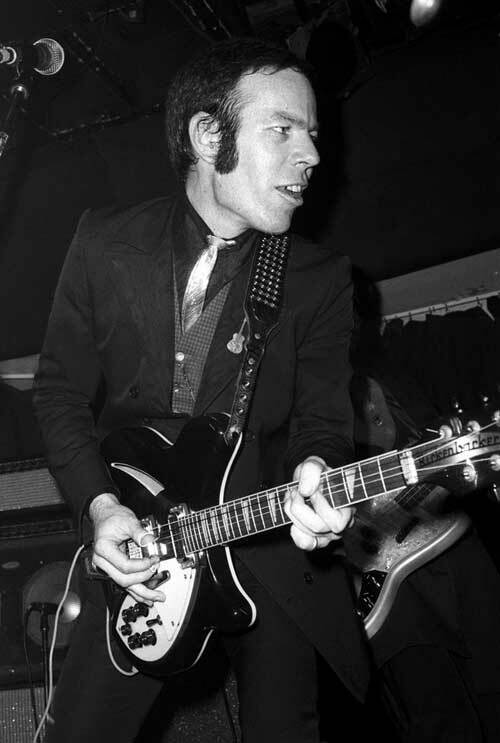 Another Wilhelm tale: When the Groovies played the Sports Palace in Berlin, where Hitler made many of his speeches, not only was it eerie, but when Mike hit the stage someone yelled out at the top of their lungs -"(Expletive Deleted) you, Mike Wilhelm! Mike figures it was a response to his gesture towards Bill Graham at the end of the film, "The Last Days of the Fillmore. In any case, it was something akin to the infamous heckler at the Dylan/Band concert at Royal Albert Hall. Heckler: "Traitor!" Dylan: "I don't believe you!" For the Sunday's last concert, Mike changed in the "airless" dressing room, into his equally "dapper" outfit, a Black Italian suit with a Crosby, Stills & Nash Fillmore tie, diplomat shirt with pale blue stripes and white collar and cuffs. His spider-in-web cufflinks were a gift from Richard Olsen (Charlatans) back in 1967. I once had dinner at a restaurant with Mike and his lovely wife, Ana Maria, and he left the orginal 60s Charlatans black cowboy hat behind. But, only briefly, as we went back and got it. You'll notice a lot of Wilhelm in George Thorogood, who was taken in by the then Loose Gravel guitarist and taught most everything he knows, including how to dress for performance. The Charlatans favored a 19th Century frontier look that bands like the Doobie Brothers later emulated for their robbing the stagecoach LP cover. Stevie Ray Vaughn's hat comes to mind as well. Mike's only comment: "Poor old misguided Bill Graham is no longer around to collect the royalties on his necktie line." In "The Last Days of the Fillmore," Wilhelm told Graham what he thought of him for not allowing Loose Gravel to play in the recorded concert, via his middle finger. "Bill liked it so much," Wilhelm once told me, "they kept it in." The man who told off Bill Graham didn't actually sit in with Magic Christian Sunday night, as I thought he might. 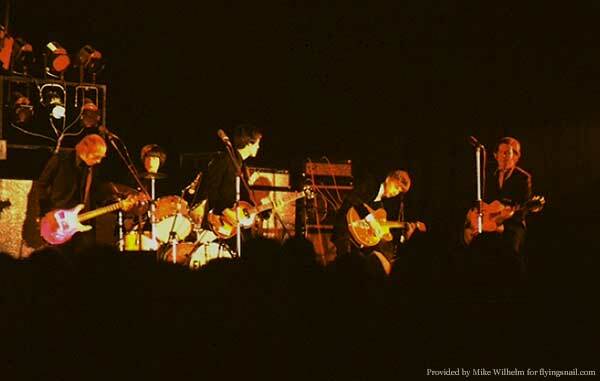 But the group did a stellar set of mostly Jordan-penned originals from their new "official bootleg CD," which includes a live concert recorded at the Great American Music Hall and a few old Groovies covers. The famously balding Jordan, sporting a wig, somehow managed to make his Dan Armstrong plexiglass guitar sound exactly like George Harrison's guitar on the original "Tax Man." "Bleeding amazing, that," Wilhelm commented, adopting a British accent. 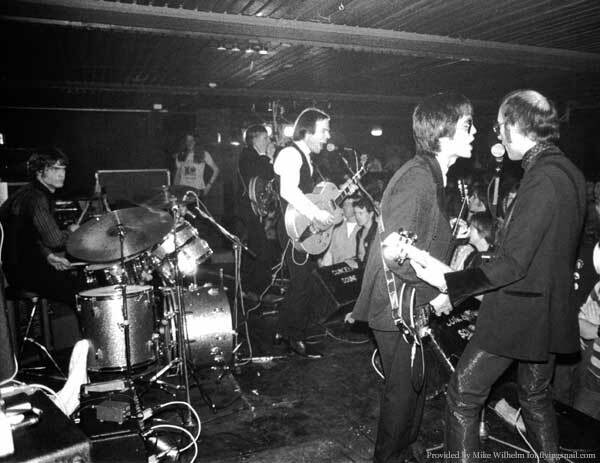 Their set also featured "Make My Bed," by the Down Under Beatles, The Easybeats. Mike and Cyril joined the Plimsouls at the end of their excellent set played to a sold out audience of 350 mostly younger people, who probably don't remember the Charlatans. But the last time I saw Wilhelm open for Case, who was then playing solo in SF, the audience screamed "Charlatans, Charlatans," repeatedly, something you don't hear in Lake County. But this crowd was no less enthusiastic for the reunited Plimsouls and friends. In fact, I've talked to a surprising number of younger folks who remember the original Plimsouls. When Jordan and Wilhelm joined the reunited band, they brought the house down with covers of the Rolling Stones, Jimmy Reed, the Groovies' classic, "Jumpin' In The Night,' and even "The House of Blue Lights," sung by the Kaiser hisself. Before the show, I asked Mike if he was going to do Chuck Berry's duckwalk, something I've seen him do a few times. He didn't and he also didn't say why. Maybe, he's just saving the best for Lake County. 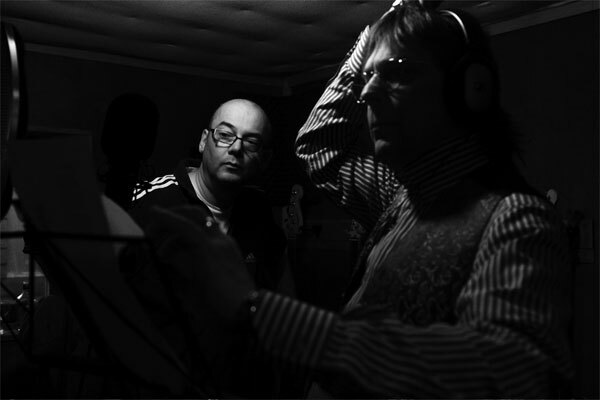 Chris Wilson, Mike Wilhelm, Cyril Jordan, producer, Dave Edmunds, David Wright & George Alexander. 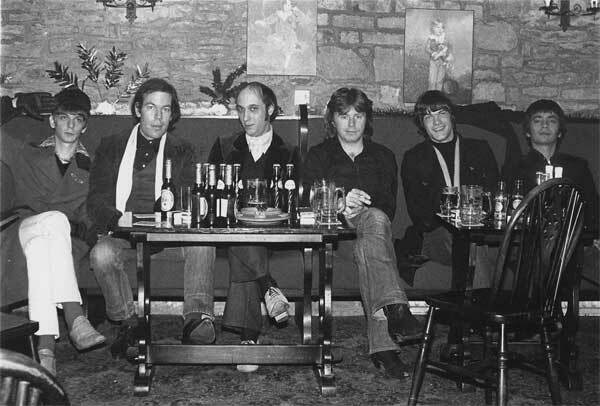 At the pub in Monmouth, Wales, Groovies about to leave for Rockfield Studios during the Now sessions. Pub Photo credit: Paul Slattery from the Mike Wilhelm Collection.